stay afloat if you’re not positioning your company for the times. The world is changing too fast for that. You want to do something, but what? You get all these calls from people selling marketing “opportunities” they say will bring in business. Which of these things do you really need? What should you be doing in social networking, on your website, in advertising, your logo, your signage, videos, store layout, brochure, customer relationships, referral building …. Stop the madness. 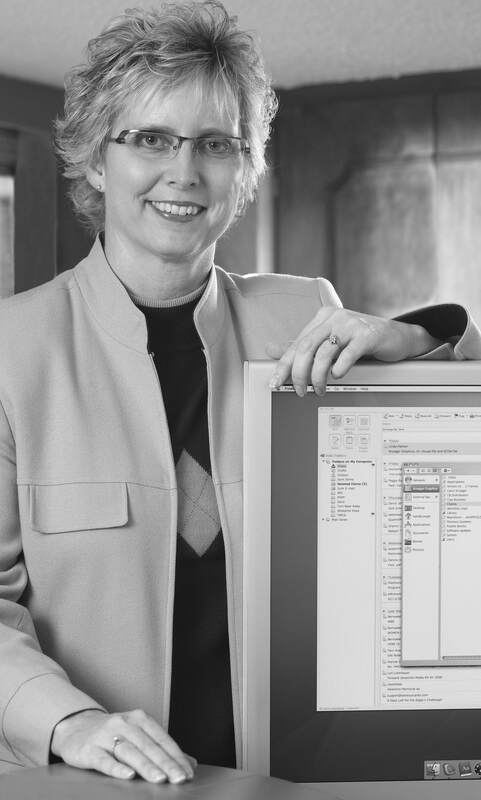 Take a step back and look at the big picture with Karla Krueger of Krueger Graphics, Inc. For 28 years Karla has served as the marketing arm for area businesses – from sole proprietor to multi-million dollar heavy industry manufacturers. As a 4th generation small business owner, Karla personally understands what you’re up against. “You only have so many marketing dollars. The key is to see where you need help the most, and do things that make a real difference in your sales.” As a group, Krueger Graphics marketing clients have been doing very well right through the downturn. It pays to have an unbiased outside expert provide help in marketing, one of the most critical – and most neglected – parts of a business. If what you’ve been doing isn’t getting your company where you want it to be, give Karla a call. What have you got to lose?